The answer is a whole lot. The man is all over the musical map. And the music is always great, and this is no exception. Stylistically, it stands apart from almost all of his albums in that this legendary pianist plays no piano at all here, or even any keyboards. 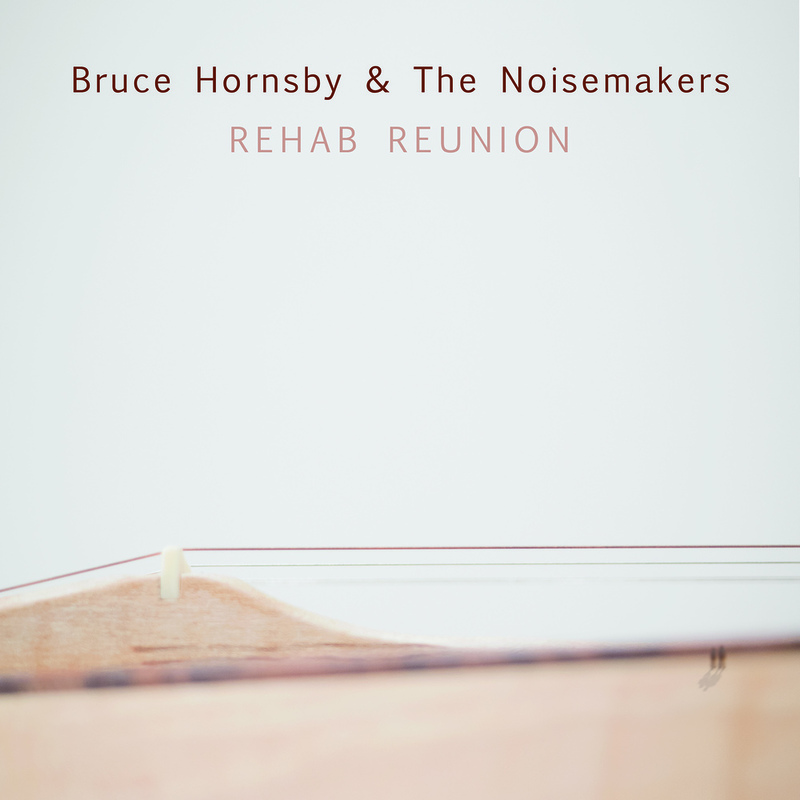 Instead these songs are built on the delicate dynamic of Bruce on dulcimer, with the great Sonny Emory laying down delicate grooves on drums as well as washboard and Cajon. On top of this graceful understatement are Bruce’s soulful vocals, and the Irish/Celtic and American folk textures of Ross Holmes’ fiddle and mandolin, organ by J.T. Thomas, and electric and acoustic guitars by Gibb Droll. Some musical luminaries are here, including Justin Vernon harmonizing on the opener, “Over The Rise.” We also have the great Mavis Staples dueting on the album’s soulful closer, “Celestial Railroad.” Her voice of the ages is all soul, all gospel fervor. When she sings of listening to the angels sing, of transcending this world for the one beyond, her phrasing is so in the pocket of the drums, so joyful, that one almost swoons. It doesn’t get better. This is a guy who has been making powerful music for a long time on a spirit train that never stops. May Hornsby and his gang ride that celestial railroad forever. A brand new masterpiece from a man who has made masterpieces for decades. 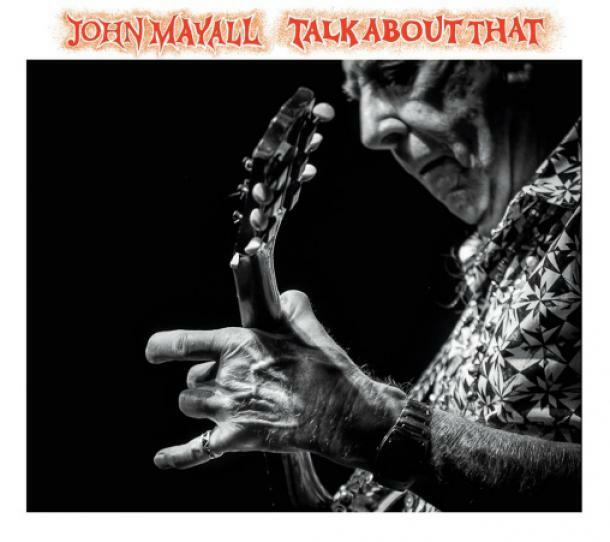 The legendary John Mayall, now at 83, is delivering his heartfelt blues with as much fire as ever. His is a mighty band, which starts and ends with the great solidity of drummer Jay Davenport, who lays down a greatly soulful and driving foundation for each of these songs, as crisp as it is funky. On top of that we get Mayall wailing sometimes on Hammond organ, sometimes harmonica, sometimes guitar. Rocky Athas plays both lead and rhythm guitar, with Greg Azab is on bass. The amiable Joe Walsh lends some gritty lead guitar on the great song “The Devil Must Be Laughing,” matching the intensity of Mayall’s Hammond playing and soulful exhortative vocals. The whole thing is like a priceless lesson in rhythm and blues, hearing the great propulsive grooves this band provides for the bluesman to ignite. “It’s Hard Going Up” lives in that great Mose Allison-like realm of whimsical, wary wisdom married to a charged blues, opening the door to great life lessons: “It’s hard going up,” he sings, “but twice as hard coming down.” Resounding like a modern classic is “Blue Midnight,” a smooth bluesy incitement which weds a perfect Mayall guitar solo, all passion and electric soul, with a funky Mayall keyboard solo. Yes. Mayall’s a man of musical multitudes still burning into his ninth decade with blues of the ages. While countless rock stars who came in his wake long ago burnt out or faded away long ago, he’s still doing it, still living and singing in the incendiary heart of the blues. Leonard Cohen said once that most songwriters do their best work in their twenties, not unlike matadors, because it takes endless energy to maintain. But some songwriters – like Leonard, and like Stephen Bishop – started strong and have gotten only stronger in recent years. 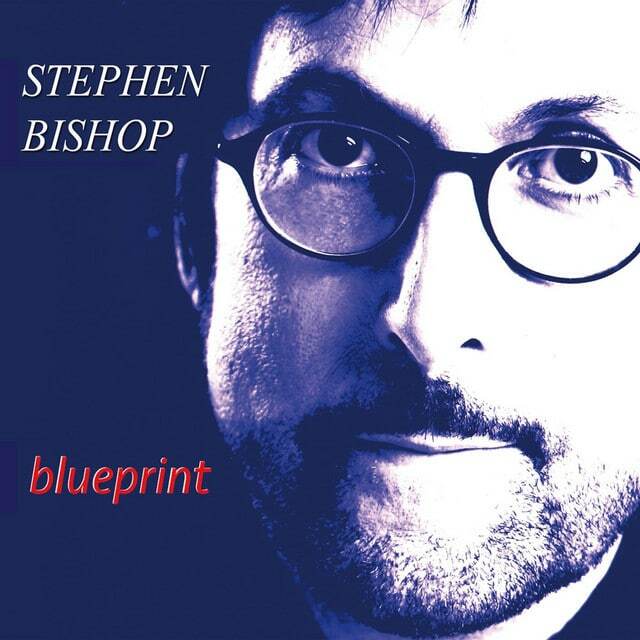 Stephen Bishop was an exceptional singer and songwriter right out of the gate in 1976 with the infectious “On and On.” But as those who have been in his thrall since then know well, he’s been writing extraordinary songs from the very start, and never stopped. So it should come as no big surprise to his fans and to songwriters that this new album, blueprint, is a pure delight from start to finish. Produced and mixed with great elegance and loving care by Jon Gilutin, this is a collection of stunning songs. Bish has always been the kind of songwriter, not unlike Paul Simon, who is equally inventive and inspired with both words and music. His lyrics are fresh and poignant, while his melodies possess a soulful and timeless purity. Great musicians are here, including the phenomenal husband wife team of guitarist Troy Dexter and vocalist Hollye Dexter. Gilutin covers keyboards and programming, Jerry Watts is on bass, and Bish plays acoustic and electric guitars. “Holy Mother,” written with his pal Eric Clapton, is sweet song of yearning, of reaching out from the darkness towards something holy. It’s as much prayer as song. “Blue Window” is a haunting recognition of how we see the world wed to a lusciously lyrical melody. We also get a beautiful bonus track, a cool jaunty version of the gorgeous “It Might Be You,” written by Dave Grusin with Marylyn & Alan Bergman, which Stephen sang for the movie Tootsie. Bish has been supplying us with good tunes for decades now. Last winter, while driving around Los Angeles buying Christmas and Hanukkah gifts I listened to one album and one only, his 2014 Stephen Bishop Live. I didn’t need anything else! The sound of his voice with that of the astounding Rumer on “Separate Lives” sustained me for months. It just doesn’t get better. Now this, brand new Bish. A good reason to rejoice. The real redemption offered here is almost always musical. As a producer he’s known for his great love of song and record-making, and that veneration is expressed in many of these songs, as in “Record Player,” a charming celebration of this modern yet already arcane machine and the music it brings. That reverence is also exultant in “Mavis,” a tribute to the great Staples soul, and the universality it represents: “When you started singing,” he wrote, “I didn’t know I wasn’t black.” He even touches on the historicity forever preserved in great records, and in song’s remarkable proclivity to time-machine us to different times: “You never think about history/When you’re there inside it/One night in Alabam/You met a man named King…. So you marched to Selma knowing… voices can change everything.” Woven into this soulful mix are samples of Mavis’ unchained and remarkable vocals. As with his other productions, Crockett peoples these tracks with some of the finest musicians around, including bassist Roscoe Beck (who played with Leonard Cohen among others), Eric Darken on percussion, and Daran SeShazo on electric guitar. Billy is a fine musician himself, and plays acoustic guitars throughout as well as tenor guitar, Wurly electric piano and toy piano. Harmony singers include Patrice Pike, Rebecca Loebe, and Tom Meny. It was recorded at the beautiful Blue Rock Artist Ranch and Studio – also known as songwriter heaven – which he runs with his wife Dodie Crockett in Wimberley, Texas. This is great record making from a man who has made great records for a long time. The difference is this is his voice and his soul, and goes a long way into shining a light into the musical soul of this artist who has devoted so much artistry to the music of others. 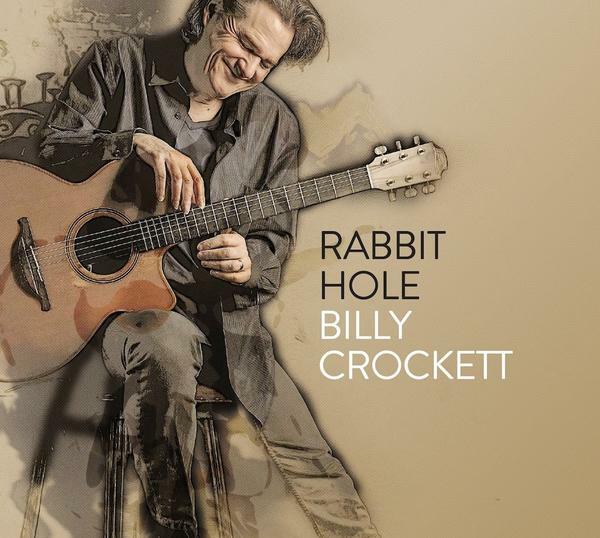 Like his productions, Rabbit Hole makes no promises it doesn’t keep. This is the expression of an authentic soul, a true music lover, and a seriously thoughtful writer of songs. “Love is melancholy but it’s all we got.” It’s but one of many poignant and beautiful truths to be found here on this beautiful album. The brain and heart-child of Kentucky songwriter-singer Mark Charles Heidinger, Vandaveer is all about beautifully compelling and heartfelt songs that capture both the madness and magic of modern times. He’s a songwriter of great range and singular expression, wedding the expansive poetry of the Beats and Dylan with the poignant and melodic poetics of Tom Waits and the laconic lyricism of Townes Van Zandt. A gentle folky spirit permeates the proceedings, but always with subterranean strains of urgency and fervor, reminiscent of both Grant Lee Buffalo and Neil Young in the fusion of tenderness and urgent fury. Many of the songs come wrapped in a sweetly visceral dual delivery by Heidinger with the incandescent Rose Guerin. Her vocals mirror his phrasing so seamlessly and yet distinctively it’s remarkable, adding a beautiful vigor to their sound. 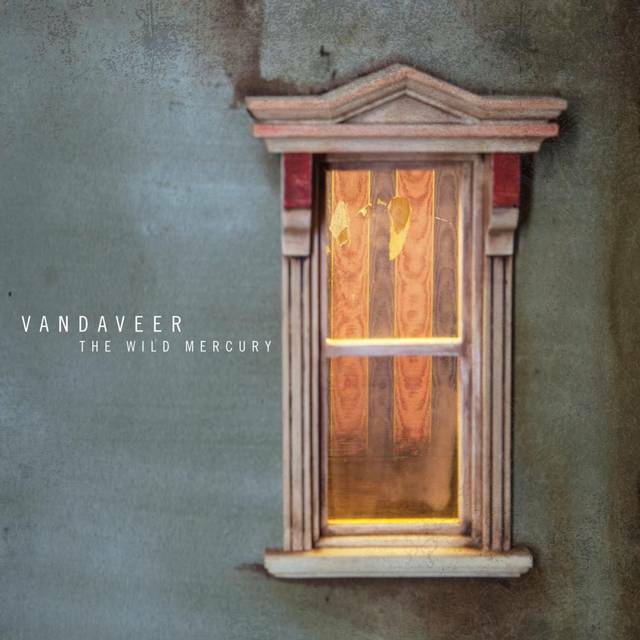 It’s a poised dynamic which crystallizes perfectly in the title song, “The Wild Mercury,” which resounds like a modern classic. With lyrics that reflect the modern dilemma of this intense information glut as competing conspiracies, myths and misinformation mingle with the mounting madness of time quickening, he brings us from Atlantis to Babylon to the City of Light with a perpetual search for meaning. Ultimately he finds the essence of the wild mercury, which is the phrase Dylan used to describe the sound he heard in his head that he wanted to bring to his records. It was an electric sound, a sound that merged bright, sustained chords with the passion of Gospel harmony, and the persistent locomotive of rolling rhythm. It’s the sound of something alive, charged and moving as swiftly as modern times. Many of these songs, though, reflect not the hurricane but the calm in its eye, that fragile, tender place that still exist even in the turmoil. Others wed a surface tranquility with subterranean strains of turbulence, like being in a small church situated on an active battlefield. “Absolutely Over The Moon” is a dreamy and hypnotic Waitsian love song of great poignancy. Lyrically, it is perpetually expanding and beautifully detailed and crafted, as he swims through pools of yearning, of remembrance, of accepting the passage of time while never abandoning that which drives it all, true love. “Ain’t no metaphors here,” he promises, and adds, as only a songwriter could add, that at the end of it all he’s “absolutely over the moon for you.” This is, as Warren Zevon would often accurately say of his own work, songwriting which is “high art.” It doesn’t get better. Hauntingly produced by the band with Duane Lundy, who also recorded and mixed. “We beg for answers/we pray for proof,” they sing. Search no more, the proof is in the songs. This is great songwriting and record-making , resulting in one of the most compelling albums to emerge in a long while. She then embarks on a slowly expanding journey into the heart of this remarkable song, reminding us yet again just what a magnificent singer she is. It’s raw and real, and the lyrics come home in a whole new way. When she sings, “somewhere there’s a place we belong, rest your head, you worry too much…” it is a message of sweet and strong survival that goes a long way in these times of darkness. 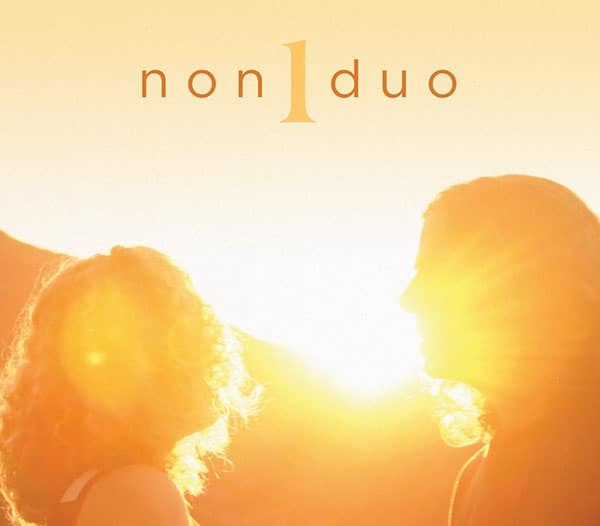 Non Duo is Paul McCarty (from the great Wicked Saints) and the Russian singer-songwriter Marina Gutman. Together they wrote nine of the eleven songs here, and produced this spirited, acoustic-inflected journey with David Williams, who also engineered and mixed. These are tenderly projected, lyrical songs produced with a delicate restraint that underscores but never overwhelms the heart of each. Paul and Marina sing together like they have been singing together their whole life. They sometimes sing unison, or harmonies both unexpected but right, and often compellingly hypnotic, bringing to mind the great fused female-male vocals of John Doe and Exene in X. The focus is on the song always, and on the delivery of these finely-etched lyrics. “Wild Junkie Dream” lopes on a sparse but insistent galloping groove that crystallizes that junkie dynamic of hopeful exodus. “Not Two,” the album’s closer, is an absolutely beautiful song, with an elegiac melody of great simplicity that brings to mind Jacques Brel’s great statements of humanity. It’s sweetly colored by the two voices, and David William’s eloquent electric guitar lines. “Every moment we are making is true,” they sing plaintively, as that truth carries these songs to an elevated realm. Beautiful musicianship paints these tracks with poignancy throughout. Of course, getting musicians of the caliber of Chad Watson (bass, mandolin and trombone) or Phil Parlapiano (accordion, banjo) goes a long way. This is an unexpected and beautifully subtle album of many soulful surprises. Hoping it’s the first of many. He’s a guitarist’s guitarist. He lifts his music to the kind of lofty heights towards which other players aspire. But not only is he an astounding guitarist with a beautifully fluid grace, he’s also more: a gifted composer wrote or co-wrote most of these songs. He also produced and mixed, making him a quadruple threat. The music, however, is anything but threatening: it is melodic jazz that resounds with the spirit of elegantly eloquent guitarists from Chet Atkins through Joe Pass to George Benson and beyond. The tone of his guitar is as smooth as his solos are fleetly fluid. He sings on the instrument with a sweet purity of melodicism before diving directly into the heart of unchained, inspired solos that manage to sound brand new and classic at the same time. Highlights abound, such as the great duet with nylon string guitar master Chris Standing on “Piccadilly Circus,” which they co-wrote. The sound of those two guitars – one electric, one acoustic – singing in shining harmony and amazing flights of counterpoint – is remarkable. “Well Alright,” a great horn-powered bluesy shout out with soulful vocals by Don Bryant is another stand-out, and an absolute delight. This is an album jazz lovers will love, as will any fans of great guitar playing. Beautifully organic, each song segues ideally into the next, the kind of song collection few people make anymore. 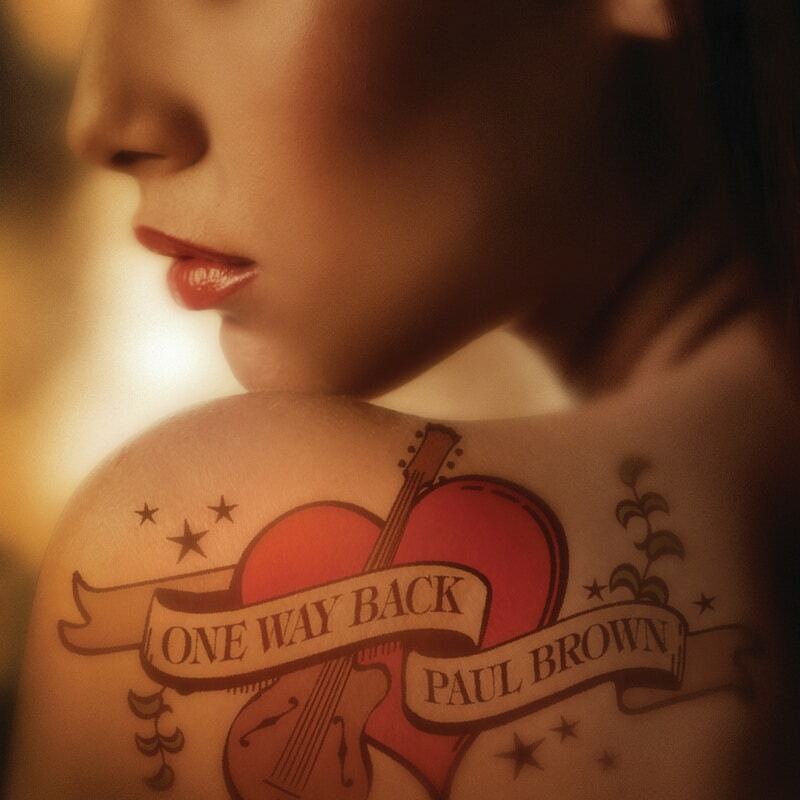 Paul Brown makes music not just for now, but for the ages. He writes powerful power-pop songs, with anthemic choruses of hope and uplift, such as the title song, which uses this great American baseball analogy for an approach to life. Sometimes we must take risks if we are to succeed. He’s a visceral and committed singer, and a songwriter of real range and singular expression. 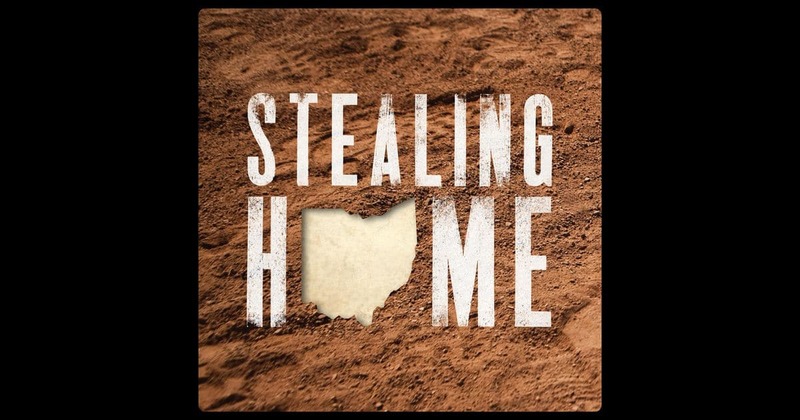 “The Ohio Song,” founded on a hip, angular drum groove, is a beautiful road song, a luminous tale of realizing one’s dreams, of leaving one’s home to head west through America, ultimately all the way through Ohio. It’s an ingeniously constructed song, calling on those legendary voices which have urged Americans to go west, such as Kerouac and his gang of beats who forever sang of going as west as you can go on this continent. Impediments to these dreams never disappear, so the challenge becomes simply to stay on track, to never be derailed, and to push through. “Break On Through The Wreckage,” is a beautifully melodic reflection on the daily challenge. Beautifully produced with lovely strings, it’s a remarkable song which evokes Jim Morrison, The Who and more in a dimensional, expansive suite. Palka, as we know, has spent a lot of time on the road, and those journeys have led to beautifully developed and inventive songs of hope. Long may he ride. John Stewart, who died in 2008, was a songwriter’s songwriter. Sure, he wrote one very famous Monkees hit – “Daydream Believer” – which remains his most famous song. But the man wrote countless songs which are not quite as famous, but which are every bit as powerful, if not more. Songs like “Gold” and “Runaway Train” all have a powerful melodic impact in tandem with words of great grace, poetry and genius. So it’s lucky for us lovers of his songs that his former band-members continue to keep his flame alive by touring and making new records of his songs. This one is an absolute gem. Of course, they are all great musicians, which is why Stewart wove them into his musical fold. But they also have a beautiful respect and understanding of this material, and bring us greatly spirited performances of these classic songs. 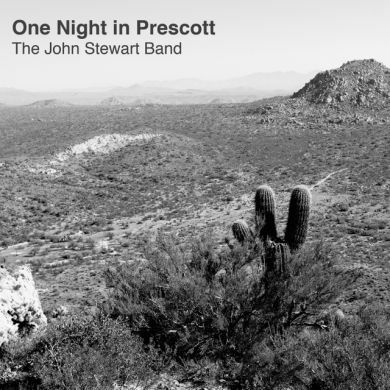 This one, recorded live at a show at Hooligan’s Pub in Prescott, Arizona “sometime in the not too distant past,” brings many of Stewart’s greatest songs together with their intimate understanding of their spirit. No one could create a Stewart album this beautiful without the man himself there, except for these guys. Not only are they each accomplished musicians in their own right, each remains forever empowered, proud and grateful of their time with Stewart, and bring such love and joy to these great songs. The great John Hoke – long beloved in L.A. circles first as an amazing drummer – produced this, and shows us he knows how to make an album, as well as being a soulful singer and guitarist. The band consists of Hoke with Chuck McDermott, Bob Hawkins, Dave Crossland, Dennis Kenmore and Dave Batti. They all switch off on lead vocals, and bring us a chain of miracle songs, including “Fire In The Wind,” “Gold,” “The Queen of Hollywood High,” “Runaway Train,” “Greenback Dollar” and “I Remember America.” Hoke and the gang know exactly how to deliver these songs, and this album stands as a beautiful and loving tribute to one of the great songwriters of our time. Seems a good time to remember just how important and impactful were Peter, Paul & Mary. A folk trio of beautiful harmony vocals, they had many songs which went to the very top of the charts at the same time that groups like The Beatles were also cresting those same charts. Though all three wrote their own songs – including several classics – they were also profoundly influential in bringing to the world the songs of other great songwriters. 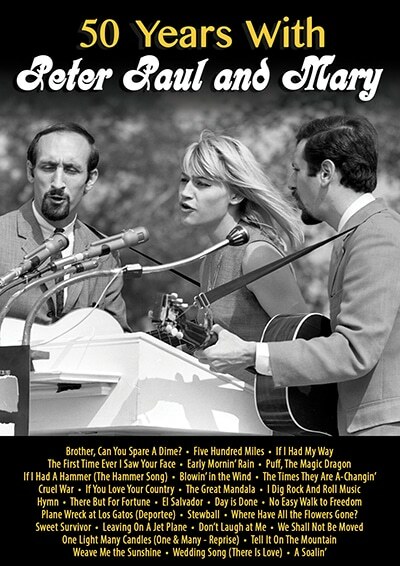 Long before Dylan ever had any hits of his own, Peter, Paul & Mary had a major hit with “Blowing In The Wind,” and recorded many of his other songs, such as “Don’t Think Twice, It’s Alright” and “Too Much of Nothing.” Their rendition of John Denver’s “Leaving On A Jet Plane” also went to Number One, and established Denver’s career. But it all started with the three of them – each a dedicated and gifted singer individually – joining together to sing traditional folk songs like the haunting “500 Miles” as well as modern anti-war anthems like Pete Seeger’s “Where Have All The Flowers Gone?” So this is a perfect time for this, a documentary by Jim Brown which brings together an absolute treasure trove of footage of the trio on and off-stage, and traces their journey from their Greenwich Village emergence through their years of anti-war activism and beyond. Following in the formidable footsteps of their friend and mentor, Pete Seeger, Peter, Paul & Mary embodied his example and understanding of the true power of song. This is a true triumph, preserving all of this precious footage in one place, and celebrating the expansive and beautiful spirit for this music, and the musicians who created it. He writes songs like someone who has loved great singles his whole life. This is compelling power-pop, solidly constructed songs with savvy architecture. Produced with another great music lover, singer-songwriter-producer Fernando Perdomo, this is an exultant celebration of pop record making: “Solid Ground” resounds like a great Motown single from 1965 that we somehow never heard. He has a high voice that sounds like a hybrid of Dusty Springfield and Robin Gibb. “1000 Guitars” strips away the band for a dreamy acoustic Lennonesque ballad accompanied only by acoustic guitars, ebow and glockenspiel. Perdomo is as creative a producer as he is a songwriter, and brings the best out of these songs by bringing in great musicians like the guitarist Rob Bonfiglio, whose playing throughout is stellar. 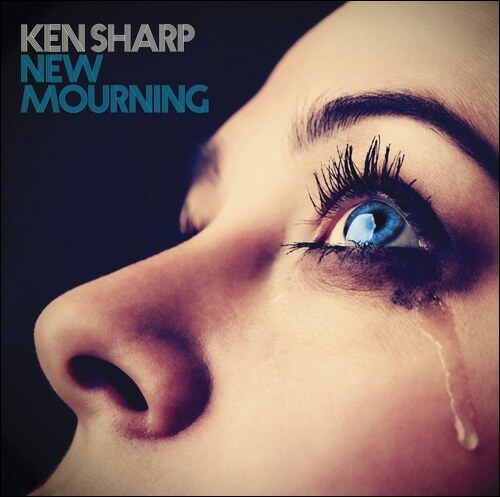 Sharp is also a longtime music scribe whose passion for music is palpable in all he touches. Musicians who write about music always seem to have the most insight, although not always enough energy left to write great songs. Sharp seems capable of doing both. At some point in their careers, most songwriter-singers create one album that defines them. An album that does everything that they are and want to be. A statement replete with all facets of this art. This is Britta’s definitive statement. It’s a beautiful and hopeful album of survival and redemption, of cleansing decades of blood on the tracks and elsewhere to touch the light. She’s both famous and infamous for her time with Bob Dylan, and her recent beautifully poetic book about him, Seeing The Real You At Last. It’s a beautifully written book, both poetic and historic, but has overshadowed the fact that she’s also a gifted and serious singer-songwriter. For those who want to know the real Britta, however, this is a perfect place to look. 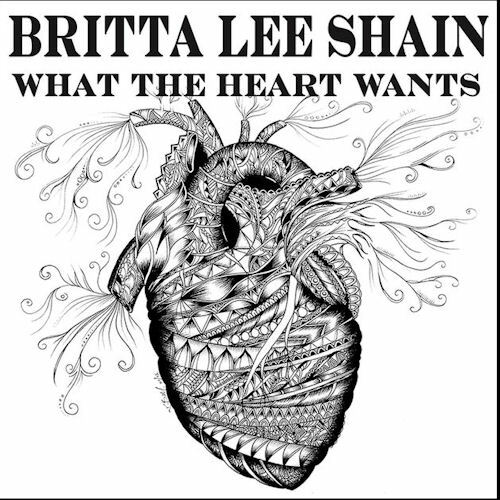 This is Britta now, writing earthy songs that resound with the beautiful simplicity of a Leonard Cohen lyric, such as “What The Heart Wants.” “Across the Blue Divide” is a mysterious western of foreboding that evokes Dylan during his darkest times, a song of sorrow and hope intermingled, aiming towards hopeful light. There is even the one song she co-wrote with Dylan, “You Can Blow My Mind (If You Want To),” a funny blues that reflects on the dynamic of secret love made public. She also brings us her version of one of his simplest and sweetest love songs, “Make You Feel My Love.” It’s beautifully produced by Ed Tree, who plays most guitars here and bass, with Marty Axelrod on keys, Gary Ferguson on drums, Gabe Witcher on fiddle, and Debra Dobkin on percussion. The production is perfect for these songs; it feels like we are transported back to an analog world, where everything was still going slowly, and every word, even the hushed ones, can be heard. William Valenti’s funny and brilliant “Boomer’s Bones” closes the show with a dark and funny view of the resolute perseverance of those who have fought the good fights through these decades. Britta’s also been fighting the good fight for years, and here’s hoping those fights are over now, and that, together, we can all cross that blue divide into a place of peace.